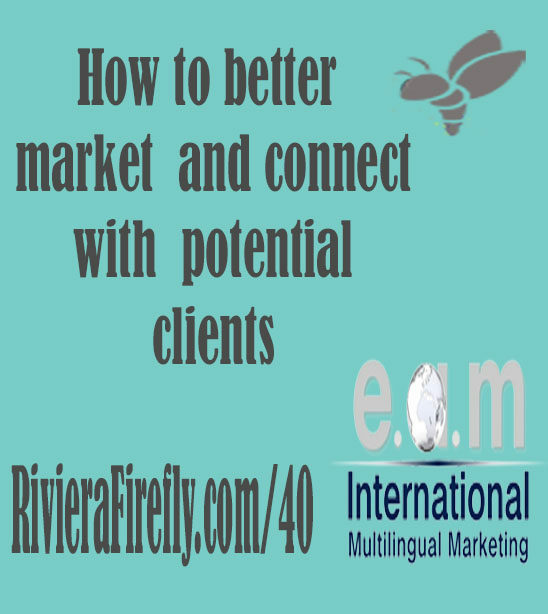 Listen to Marketing and Events expert Liz Menches from EAM International Global Marketing . She joins the Firefly podcast to share insight into planning a marketing and advertising campaign. We have a challenge for you too! Thinking about the process with the end goal in sight. Work back from the goal and the pain point .. where does the client want to go and why and work backwards. Great insights whether or not you are expanding your business abroad. Thanks Carmen. Glad it is useful.